Celebrating that time of the year again, SPRING!! What do I love more than spring?? a lush skin!! Who doesn't? Well, there is the one time of the year, when all of your skin and cosmetic needs are met. 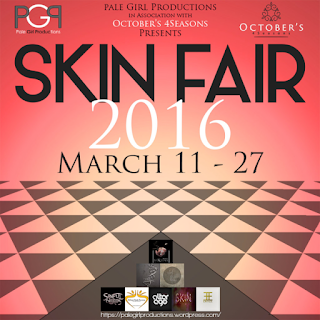 Skin Fair will start on the 11th of March and it has a HUGE list of incredible creators from all parts of SL. There will be a wonderful range of skins, appliers, make ups and everything you can imagine to look good under your clothing.